The RIT men’s hockey team (15-15-4, 13-10-4 AHA) lost to the Niagara University Purple Eagles (12-17-5, 11-12-5 AHA) on Feb. 27, 2019 in Lewiston, N.Y. The loss was by a score of 4-2. On Mar. 2, 2019, our men’s hockey team also lost to the Canisius Golden Griffins (11-18-5, 8-16-4 AHA) on Senior Night at the Gene Polisseni Center. Canisius was the ranked last in the conference at the time and beat the Tigers 2-1. The 2018–19 season came to a close after the Tigers faced the Purple Eagles and Golden Griffins. Second year Civil Engineering Technology major and forward, Alden Dupuis, spoke about what the team needed to do to be successful for these games. Third year Business Marketing major and defenseman Adam Brubacher had been a crucial piece for the Tigers during the season. He explained the importance of playing at a high level. “It is really important because the standings are too close. We have two games left and we need to win those to get a good spot in the postseason,” he said. The match against Niagara started off slowly for both teams. The first shot of the game, which was shot by the Tigers, didn’t come until around four minutes into the first period. In addition to it being a slow start to the game, there were a plethora of whistles that halted play throughout the first period. Both sides had a powerplay opportunity, but no one was able to cash in and take the lead. The first period ended and both teams went into the locker room tied at zero. The Purple Eagles started the second period with the hot hand. According to RIT Athletics, Noah Delmas shot the puck past second year Business Management major and goalie for the Tigers, Logan Drackett, just 52 seconds into the period. There were some bodies in front of Drackett, impairing his view of the play. 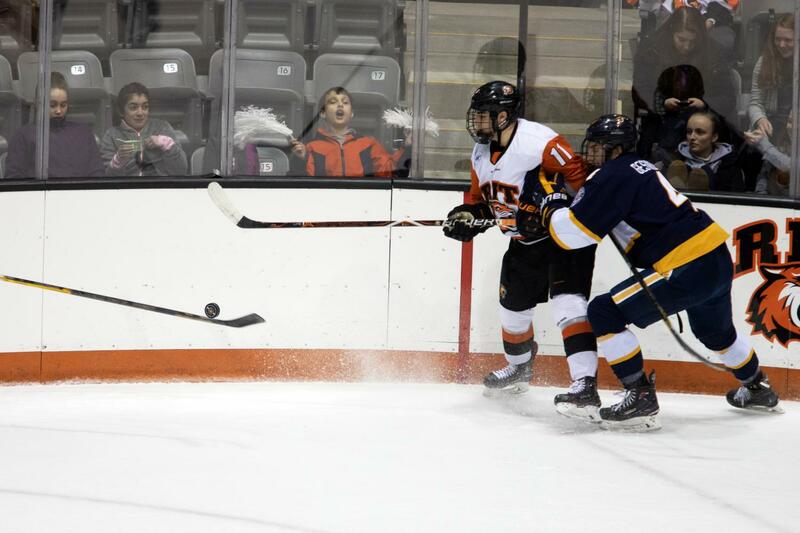 Third year Finance major and forward for RIT, Shawn Cameron, was not going to let Niagara run away with the game. He tipped in the puck past Eagles goalie Brian Wilson, tying the game, 1-1. The pace of the game started to pick up midway through the second period, but no one was able to score for the remainder of the time. With the pace getting faster, the game also started to become rough as both teams attempted to gain a physical edge. Both got an unsportsmanlike conduct penalty at the same time at the conclusion of the second period, as it was still knotted up at one. Niagara got off to another hot start at the beginning of the third period. With only 48 seconds into the third period, Delmas scored his second of the night to give the Purple Eagles a 2-1 lead. A few minutes later, third year Finance major and defenseman for the Tigers, Darren Brady, shot a wrist shot that got past Wilson and gave RIT the tying goal. Late in the third period though, the Purple Eagles scored a critical goal to give them the lead. Luke Edgerton shot the puck between Drackett’s legs and into the Tiger net. The Tigers pulled Drackett to get the extra attacker on, but Ludwig Stenlund gave Niagara the 4-2 win with an empty net goal. The Tigers had 34 shots, while the Purple Eagles only had 23 shots. In terms of powerplay, both sides had three opportunities, but could not cash in on any chance. In the Tiger net, Drackett stopped 19 of 22 (.864) shots and Wilson saved 32 of 34 (.941) shots for Niagara. The game against the Golden Griffins started with our seniors being recognized for all their accomplishments throughout their four years at RIT. Despite the celebration at the beginning of the match, it did not turn out well for the Tigers in the first period. Canisius had far more opportunities than RIT, and according to RIT Athletics, they cashed in when Matt Hoover snuck a shot past Drackett. The teams went into the second period with the Golden Griffins up, 1-0. At the start of the second period, Drackett had to come up big for our men’s hockey team and made some big saves to keep the game at 1-0. Mid-way through the second period, Cameron and Grant Meyer got matching game misconducts for roughing. Meyer, who plays for the Golden Griffins and Cameron of RIT were both thrown out of the game. The situation nonetheless riled up the RIT crowd. No team was able to get on the board in the second period, so the score was still 1-0. The third period, though, sparked some life into our team. They finally were able to get on the scoreboard. 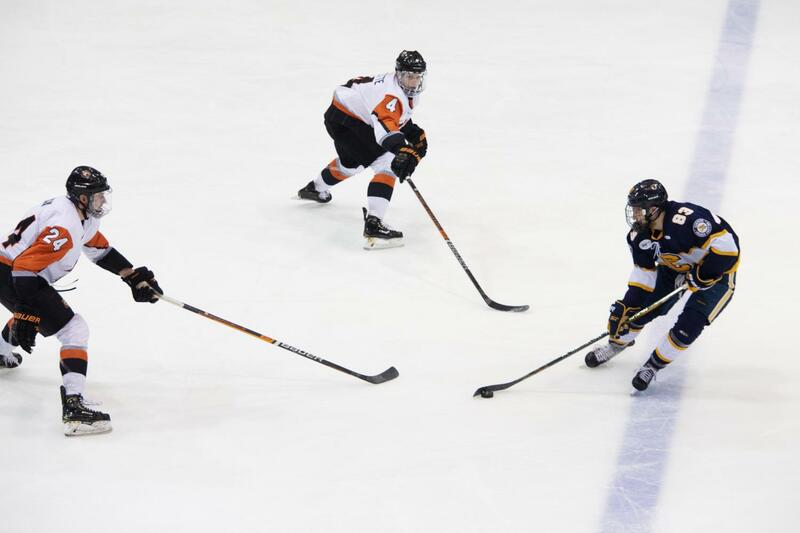 Fourth year Biomedical Engineering major and forward for the Tigers Erik Brown was able to find an open side of the net and tip the puck past Canisius goalie, Matt Ladd. He tied the score at one apiece. RIT had a series of penalties late in the third period that ended up becoming their demise. Felix Chamberland of Canisius scored and gave his team the deadly 2-1 lead towards the end of the game. The Tigers pulled Drackett with a minute and a half left to get an extra man on the ice, but it was no use in the end. Our men’s hockey team lost the match by a score of 2-1. The Tigers had 34 shots on net while the Golden Griffins had 32 shots. In terms of the powerplay, RIT was unable to score on any of their three chances. On the other hand, Canisius scored on one of two of their powerplay chances. In the Tiger net, Drackett saved 30 of 32 (.938) shots and Ladd stopped 33 of 34 (.971) shots for the Golden Griffins. The match against Canisius was the last regular season game the Tigers played, as well as the last game at the Gene Polisseni Center for the year. 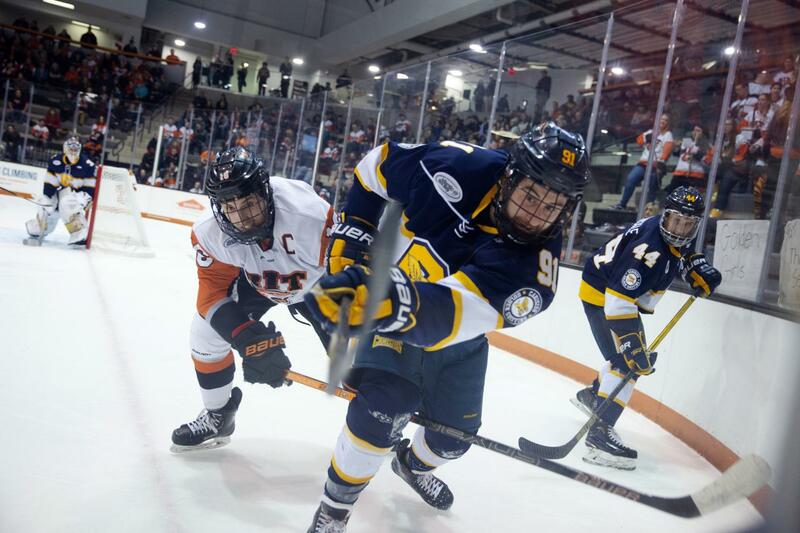 Our men's hockey team played a total of 34 games, with 27 of them being conference matches.  It had been a long season with multiple ups and downs, but the hard-work and dedication by the players, coaches and staff made it a great season for everyone.